Like blueberries? You're going to love this martini then - it's ripe with fresh blueberry juice and gets a little kick from blueberry and vanilla vodka and a little raspberry liqueur. 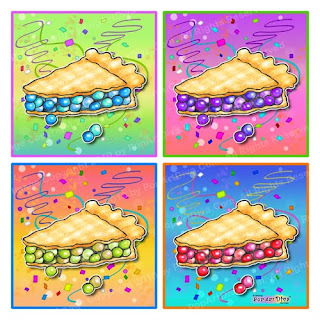 When I bake a blueberry pie I always use a little lemon juice to brighten up the flavors and the sweet and sour bring that element to play. A little bit of cream makes it pie a la mode! 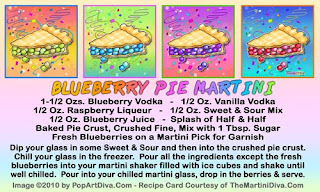 The pie crust rim ties it all together and gives you a true blueberry pie experience in a martini glass! And don't forget all those anti-oxidants from the fresh blueberry juice!